If I visit a page that isn't in my native language, how can I make Google Chrome translate it automatically for me into my native language? Do I need to change any settings, if so where can I find them? If you have already chosen "Don't translate this page", the prompt won't come up. You can right-click and there should be a translation option available. You may have to check the translation bar that drops down to make sure the source language is correct. If this doesn't happen automatically, make sure that in Chrome's preferences, the option to automatically translate is selected. 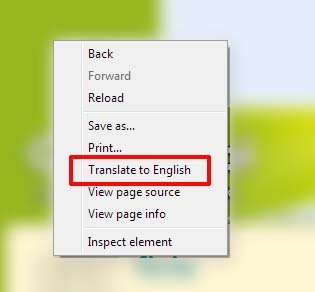 If not done automatically, you can use this: Chrome Google Translate extension. Not the answer you're looking for? Browse other questions tagged google-chrome translation or ask your own question. How does Chrome know what language a page is in? How to Make Google Chrome Translate all Spanish Sites to English?